Have you ever railed in anger about some situation in your life and wondered if something awful might happen because you dared express your rage to God? Or after some trauma, have you experienced the horrible sense of God's absence? If you've had these or other feelings and wondered what to do with them, the Psalms provide a good way for you to pray about any situation. Discover the beauty and power of the Psalms. Learn how to write your own psalm about your present experience, desire, need, hope, or joy. 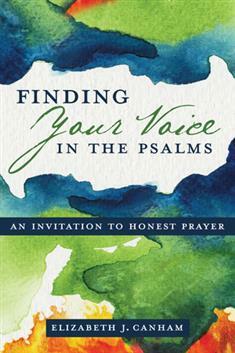 Canham says, "In this book I want to share my delight in the Psalms and offer models for praying with them. I write for all the heart-hungry people of God who must live and pray in the midst of very busy lives." An excellent resource for anyone wanting to deepen their relationship with God! Consider using this book for individual or small-group study or sharing it with your prayer partner.